Appearing in today’s newspaper was a notice for the Safaricom shareholders annual general meeting (AGM) that will take place on September 1. In addition to the usual shareholder resolutions, there are additional matters that will be approved, mainly relating to governance by at Safaricom. This all follows the buyout of UK’s Vodafone stake in Safaricom, by South African Vodacom in an internal Vodafone group corporate realignment earlier this year that has now been completed. A running theme seems to be entrench Kenyan citizens in the governance and influence at what is now Kenya’s most valuable company. 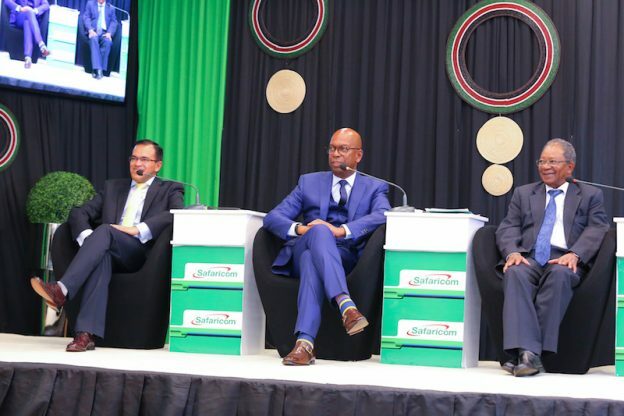 Directors shall encourage retention of a “Kenyan character” in the senior management and executive committees of Safaricom. The articles are also changed to spell out that that independent non-executive directors of Safaricom, shall all be Kenyan citizens. The position of Deputy Chairman is eliminated. Directors appointed by Vodafone shall be excluded from voting on agreements relating to M-Pesa. Directors appointed by Vodafone are to vote in the interest of the company (Safaricom) if its growth and investment decision clash with those of Vodafone. This entry was posted in Corporate governance, M-Pesa, Safaricom, Safaricom IPO, Vodacom, vodafone on August 24, 2017 by bankelele.